Chocolate covered pretzels are seriously the easiest and yet most crowd pleasing dessert to make. You don't actually need instructions for this, trust me. But I still wanted to show off the ones I made for an early St. Patrick's Day celebration at John's firehouse because they turned out adorable. 1. Prep your wax paper first thing. I put mine in baking pans because they stack easily in the fridge. 3. 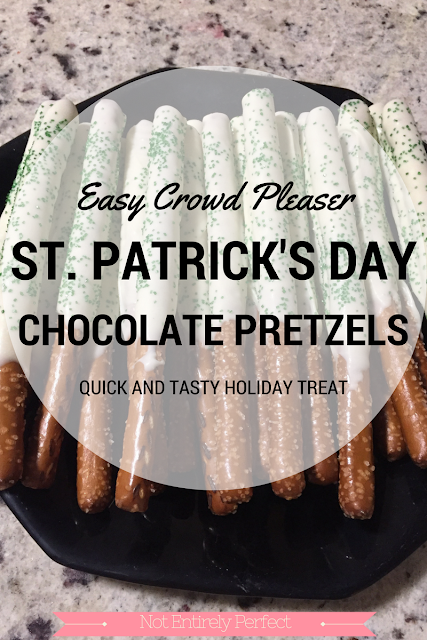 Stir the pretzel rod in the melted chocolate so it's evenly coated all the way around, allowing the excess to drip off back into the cup for a few seconds. Lay it on the wax paper. 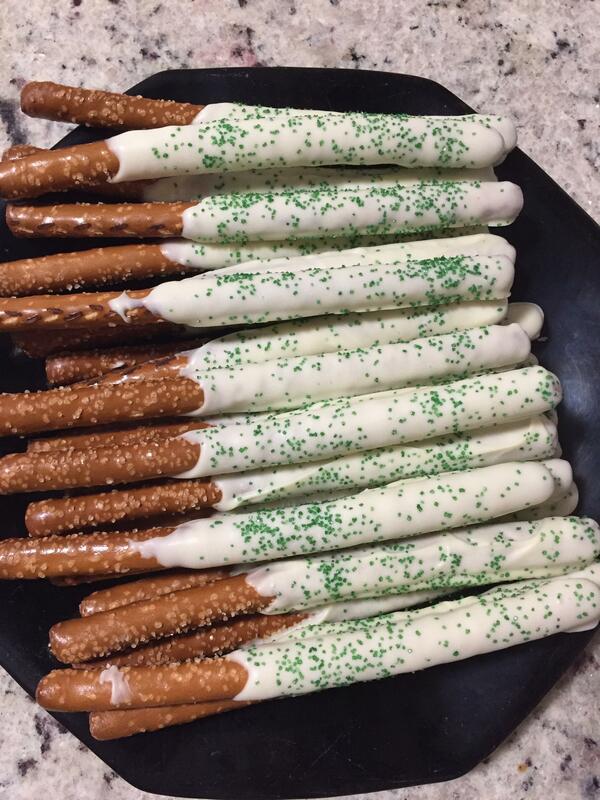 You can do all the pretzels in a row that fit onto a single one of your trays. 4. Add sprinkles as soon as you finish a single tray, because the chocolate starts to set quickly. 5. Refrigerate until completely set and enjoy! See? Easy. And everyone loved chocolate covered pretzels. And you have plenty of time to grab your supplies and make them before the 17th. Happy St. Patrick's Day!